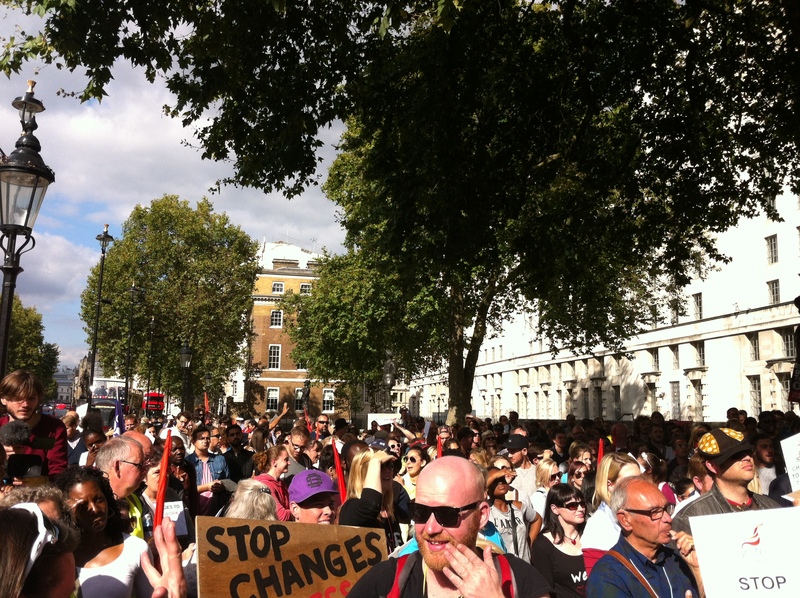 Our Access to Work march on Saturday 26th September was wonderful, with 1,000 people marching from Parliament Square to Downing Street via the Department of Work and Pensions, with a clear message: STOP MAKING CHANGES TO ACCESS TO WORK. 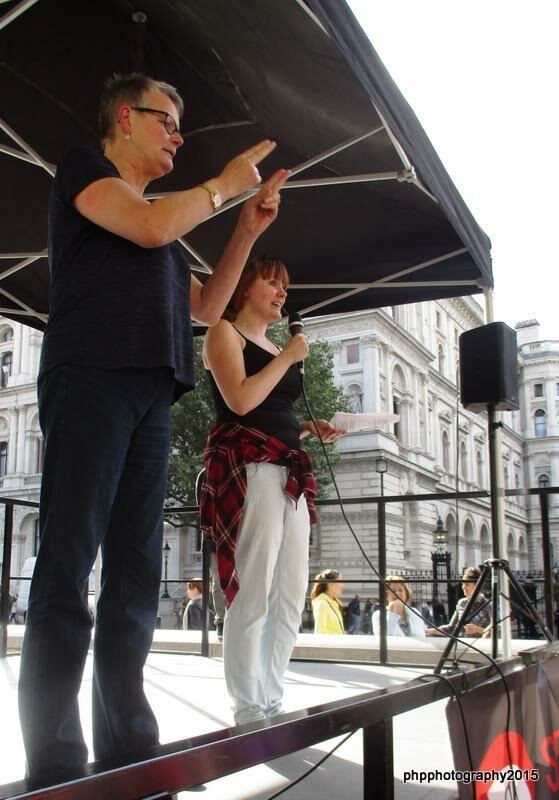 After dropping off a copy of our petition (signed by 20,000 people at that point) at Downing Street, we held a rousing rally at Richmond Terrace, where emphasis was put on working together and paving the way for today’s deaf and disabled children’s futures. 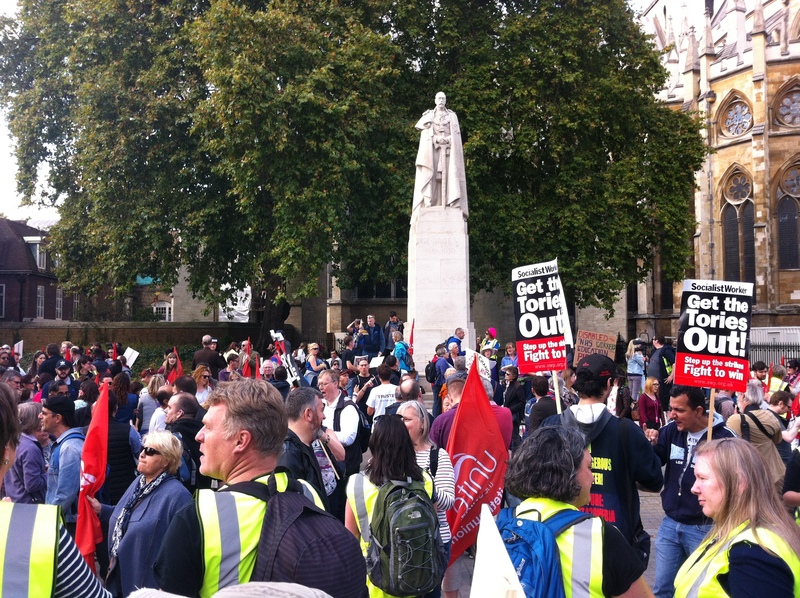 Marchers lining up outside Parliament. 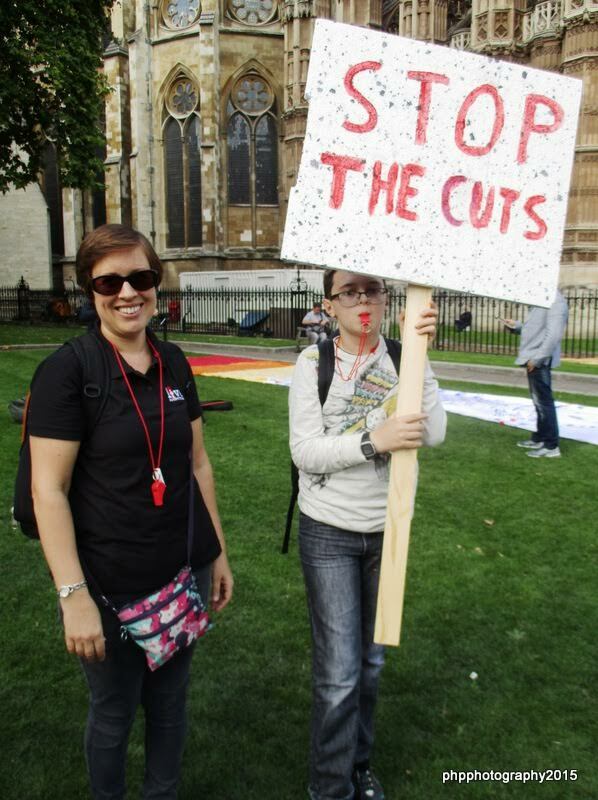 Stop the Cuts banner (with Claire Hill, our fab stenographer)! 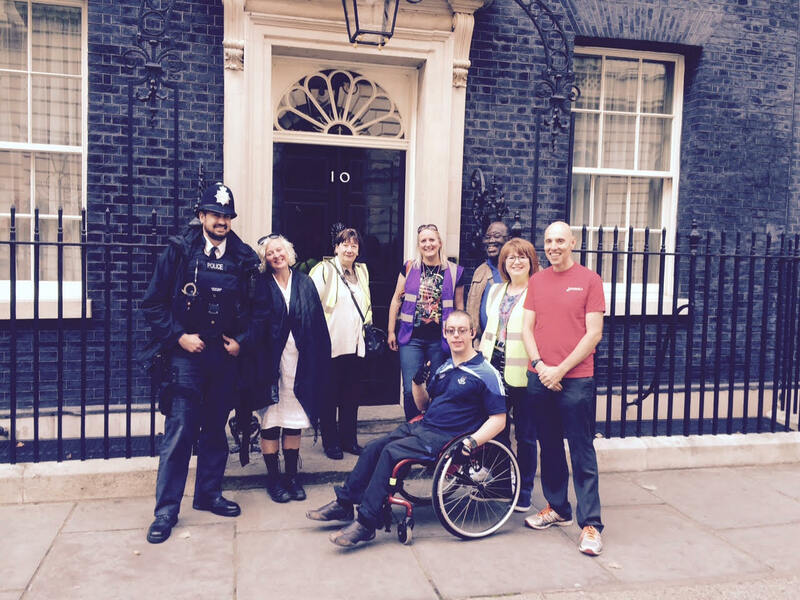 Stop Changes to AtW members handing over our petition at 10 Downing Street! 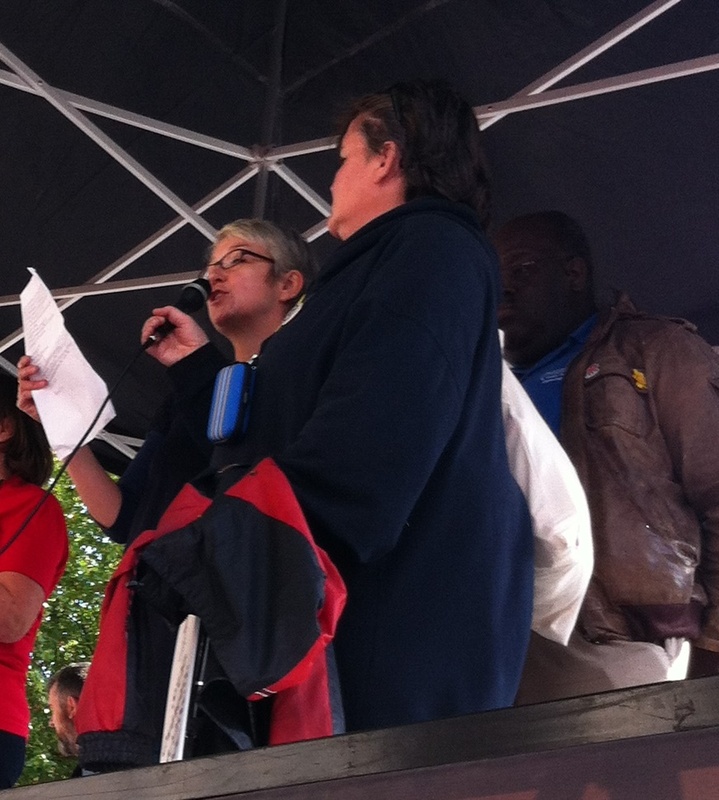 Some of our interpreters and stenographer in full flow! 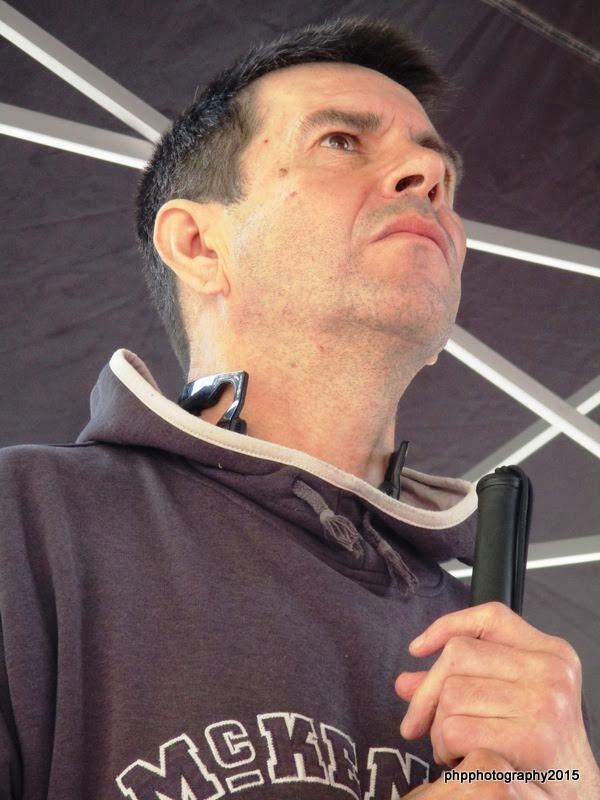 Jeff McWhinney addressing the crowd! 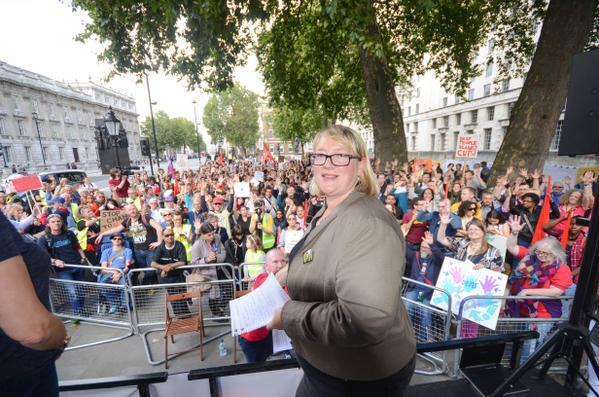 … and the amazing crowd! 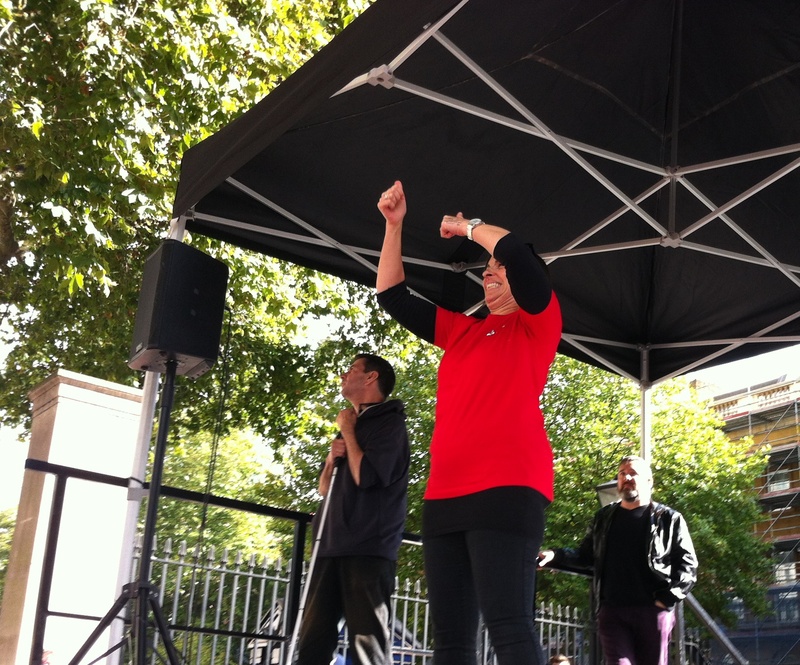 We wholeheartedly thank everyone who came and made the day such a success. Our amazing march: Some links! 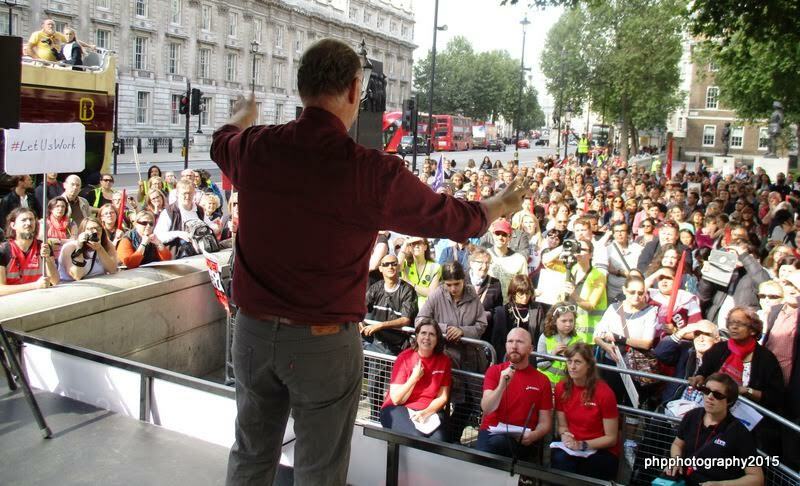 More soon about our brilliant, 1,000-strong, march on Saturday! 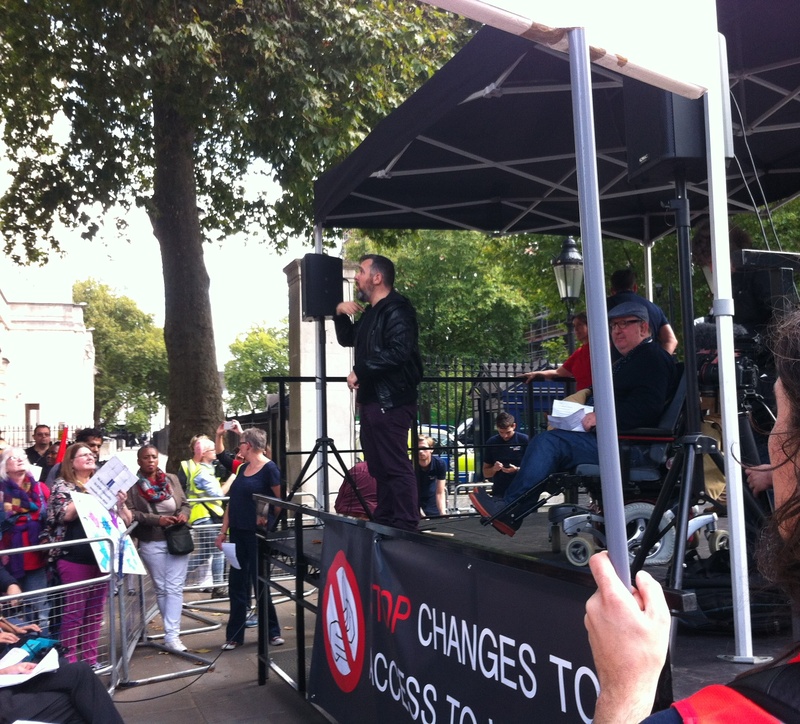 Yesterday, 26 September in London deaf people gathered to protest because the government planned cuts in working interpretation fundings. 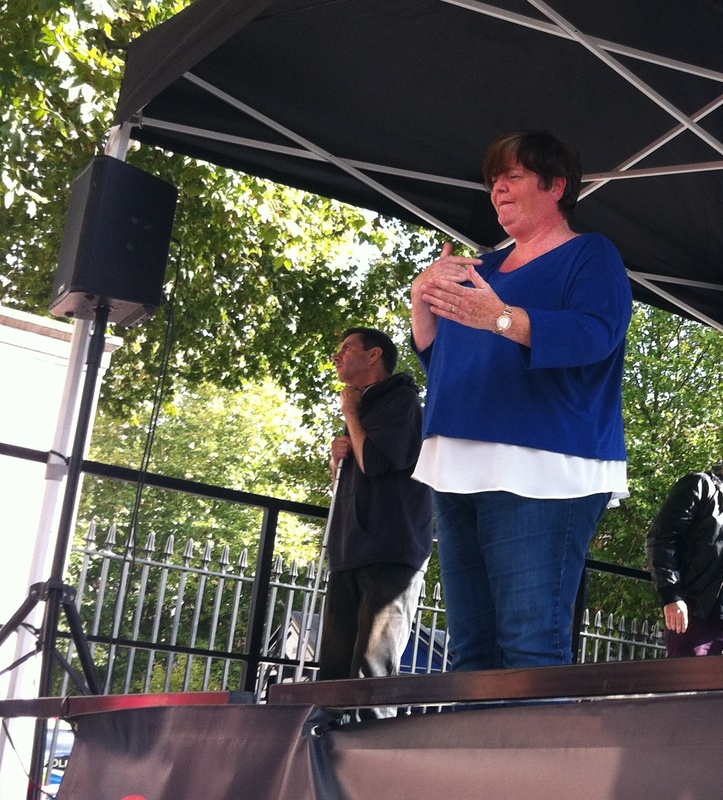 If the work interpretation is reduced, the deaf are afraid that the work interpretation shall be reduced, this will lead to the loss of existing jobs and have trouble finding work. 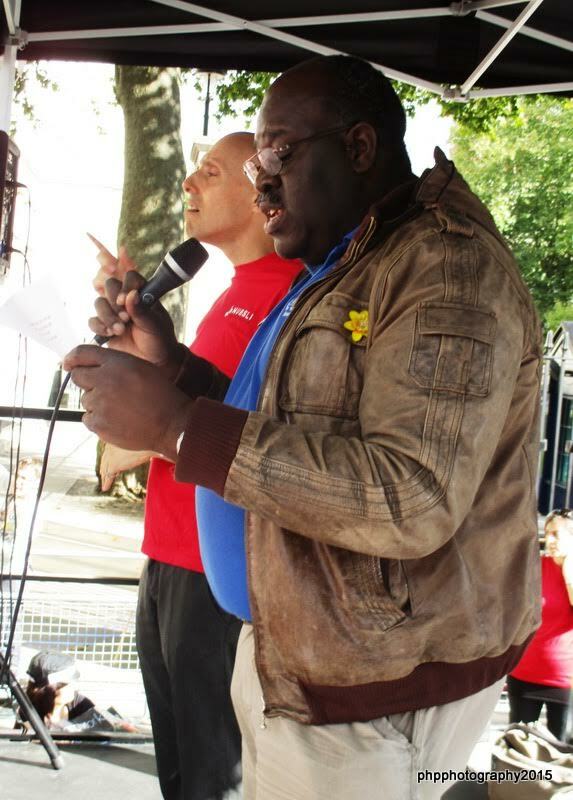 The British Deaf community also collected more than 18 thousand names changes to oppose the changes. 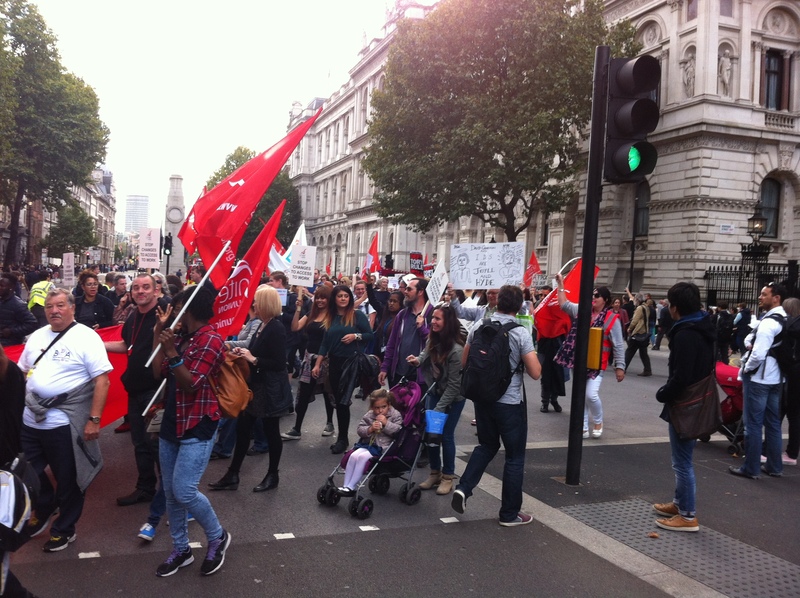 Update about the AtW march, and how you can support us from home! 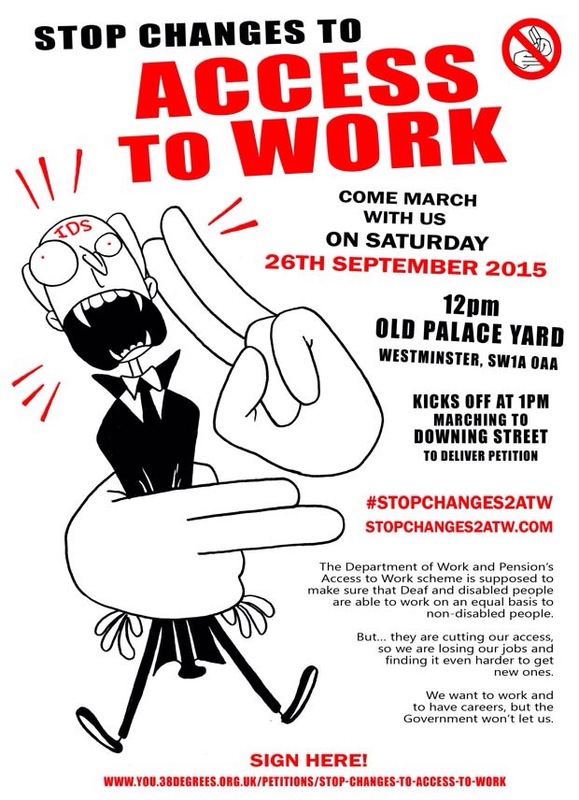 Are you ready to march for access to work on Saturday 26th September? 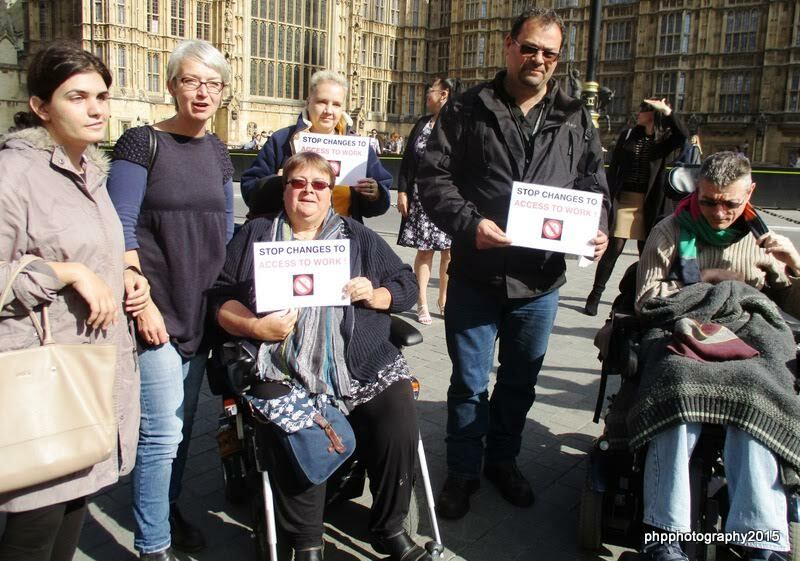 Are you ready to tell the government to stop the changes?! 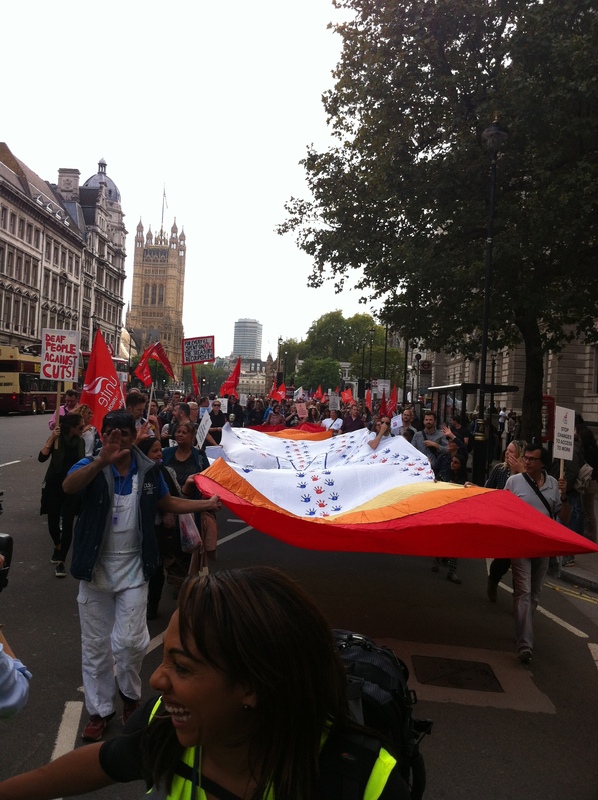 We have some banners and placards to share with everyone, but if you want to bring your own, the more the merrier! 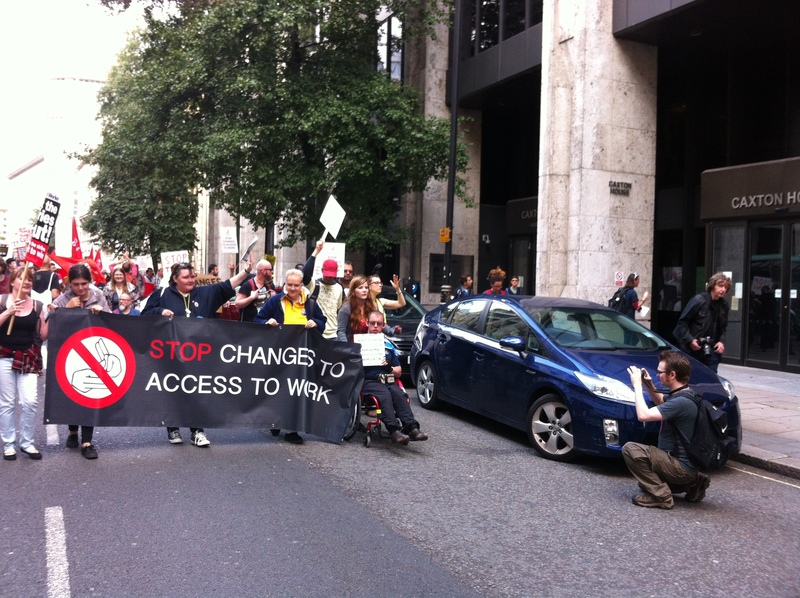 Your placard could say STOP CHANGES TO ACCESS TO WORK or STOP THE CUTS … or whatever you like! 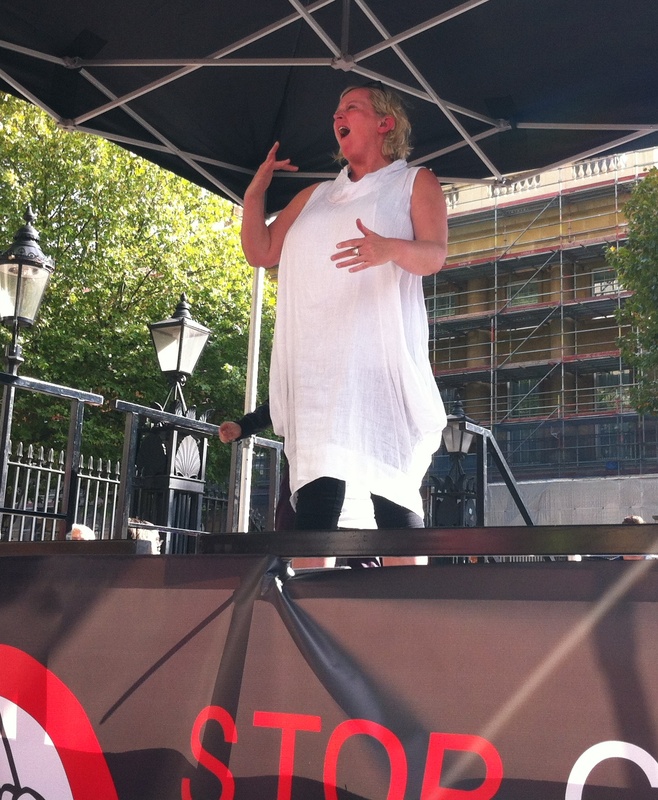 If you haven’t signed our petition, please do! 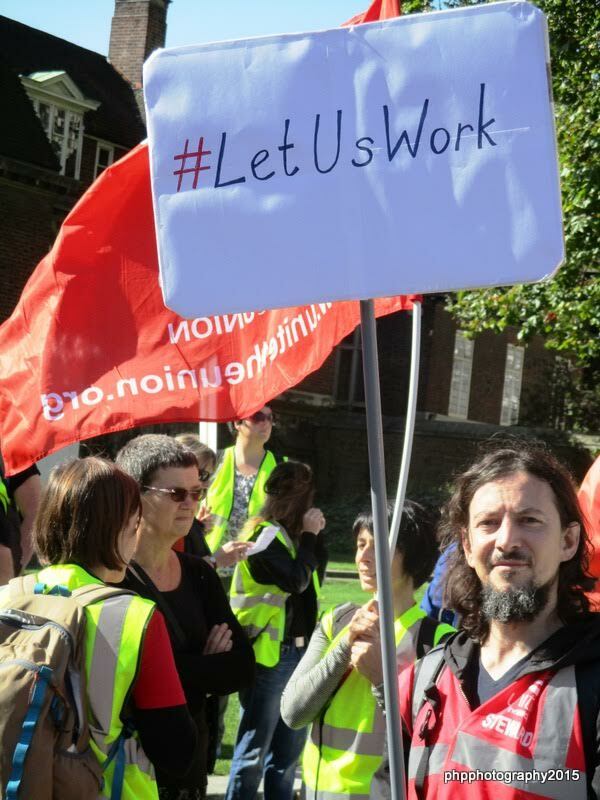 It’s here – https://you.38degrees.org.uk/petitions/stop-changes-to-access-to-work – and we’re trying to get 20,000 signatures by Saturday, so please ask everyone you know to sign it too! • Our own crew, provided by the lovely Ted Evans, so that we can have a record of the day. • Unfortunately, a crew from a programme called “Britain on the Fiddle” is coming. 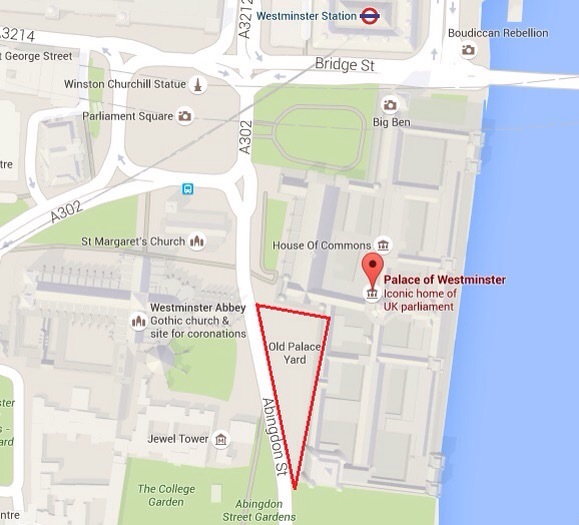 We’ve told them they are not welcome – it’s about benefit fraud, and is nothing to do with AtW. We can’t stop them, though. So, if someone wants to interview you, please be aware that you should check where they’re from. We don’t support this programme, but it’s your choice! 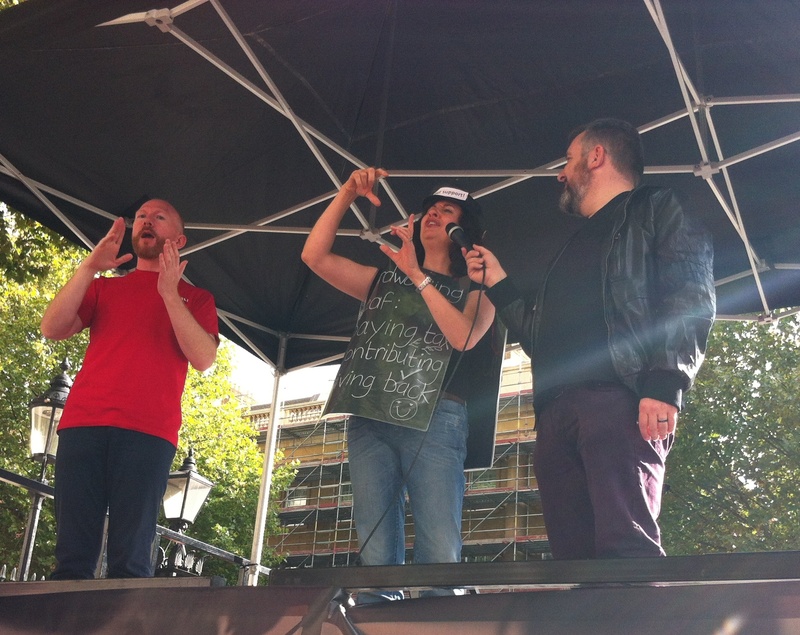 Finally… Our amazing speakers (and MC)! 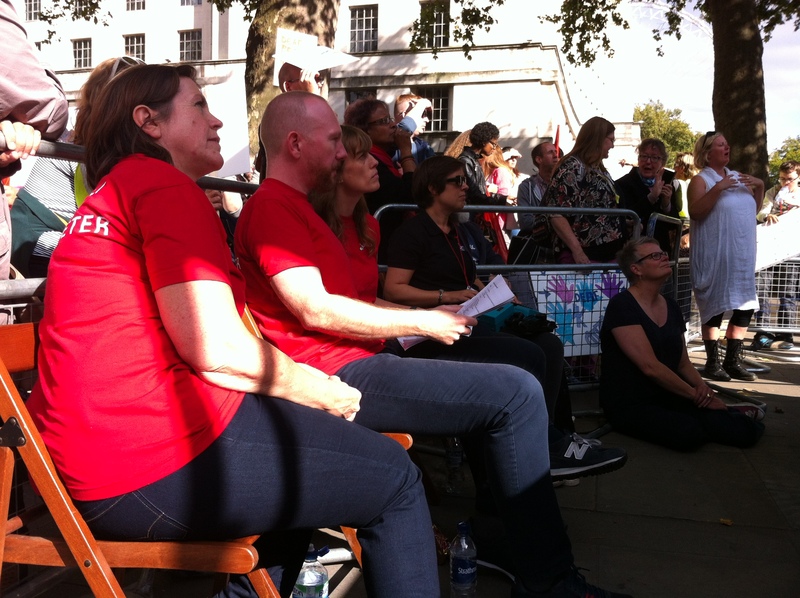 Jenny Sealey (Stop Changes to AtW), Jane Aitchinson ( Unite the Resistance), Jeff McWhinney (former MD of Significan’t), Sean McGovern (TUC Disabled Workers’ Committee Co-Chair/Unite the Union), Tracey Lazard (Inclusion London), Dawn Marshall (Director, Becoming Visible), Ray Johnson (People First), Jen Smith (NUBSLI), Jane Cordell (Director, Result CIC), Roger Lewis (DPAC). It’s going to be brilliant! See you there! 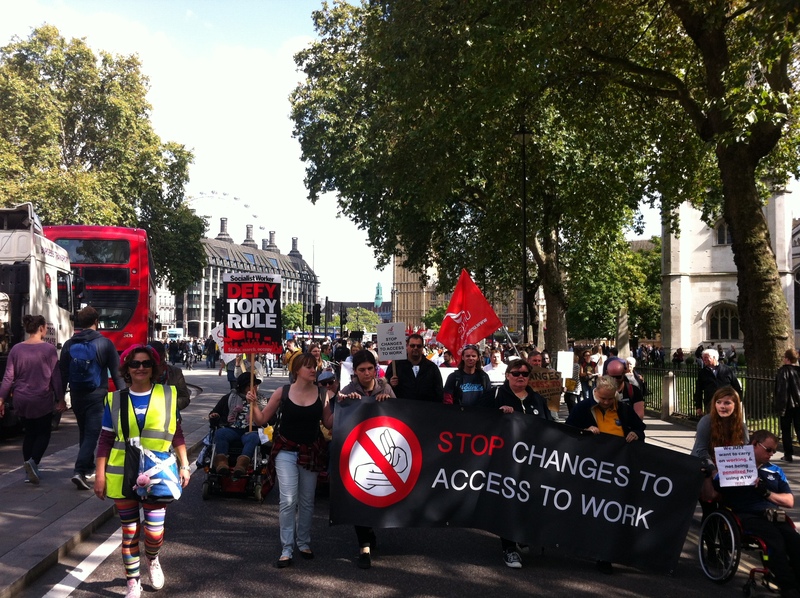 Click here to see Welfare Weekly’s Disabled To March On Downing Street Over ‘Access To Work’ Changes article (7th September 2015). You may have seen our amazing flyer, created by the wonderful David Ziggy Greene who is Private Eye’s resident cartoonist. Please feel free to circulate this. Our “March with us” page has a poster version for you to download and print and another smaller version for use on the web.